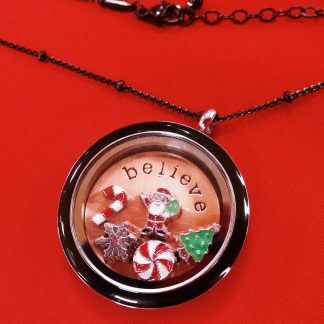 Wear this locket yourself or with a group of friends to show your love and support through trying times. 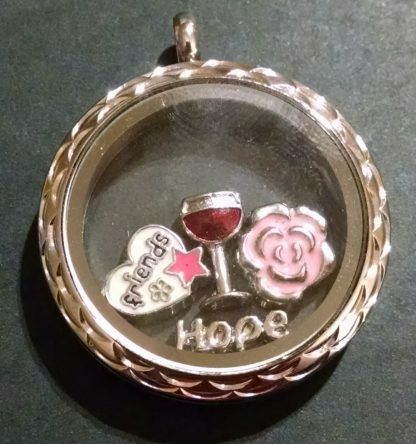 A thoughtful gift to a friend in need of hope and friendship. This pre-made locket has a pink rose, hope script, friends heart and wine glass in a large, silver finish memory locket with twist off top. 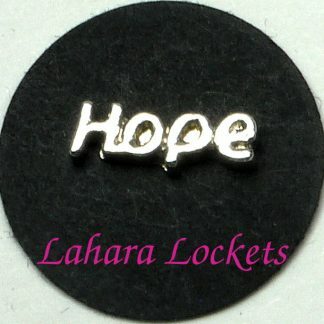 All of our lockets are made of durable stainless steel and will not tarnish. 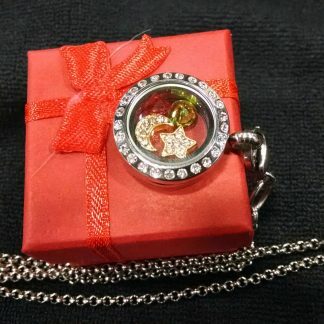 Our floating charms are hand picked for quality and thickness. 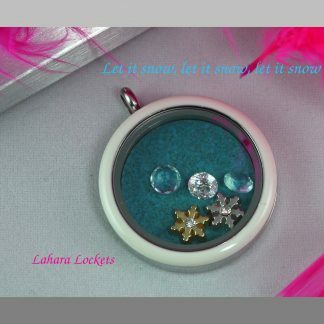 Winter Memory Locket, Let it Snow!